Trainer Darren Weir and jockey John Allen have combined again at Flemington to claim the Group Two Matriarch Stakes. "We retired her and the truck was booked," Weir said. "We sent her up to my place at the farm where there was heaps of good tucker and I put her out in a big paddock with a few other horses. "I went up there one day and while you look at them all I didn't really look at her because she was going to stud. "But then I noticed her and she'd really developed and looked great, so I rang the owners and asked them what they want to do." Kenedna was a year between runs returning at Flemington in September with Saturday's win her fifth start since resuming. 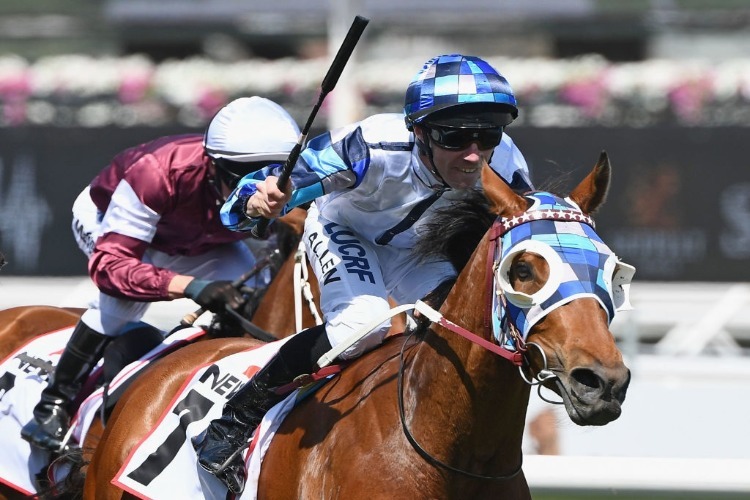 "Hopefully now we can get her in a Group One race at some stage," Weir said.